ca. 340 – 330 B.C. 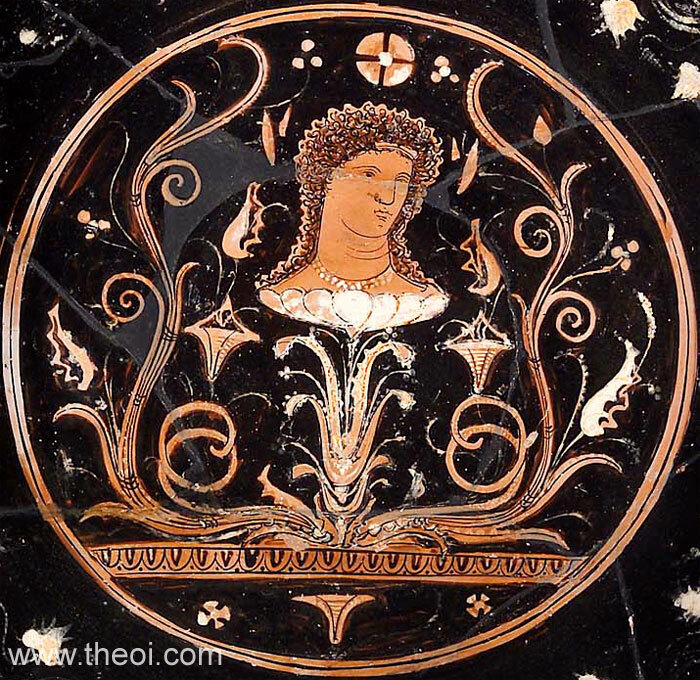 The bust of a Nymph (probably a Naiad) depicted in three-quarter profile, rises from a bed of petals. She has long, wavy hair and wears a necklace and small tiara. An elaborate display of coiling vines and flowers surrounds her.